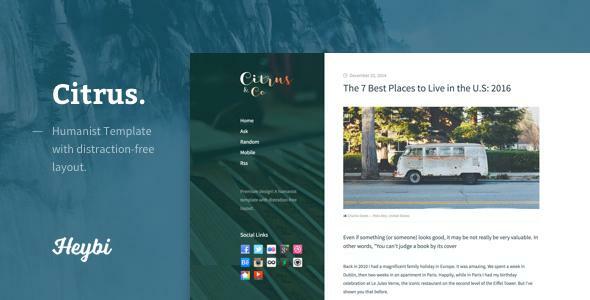 Description: Citrus: Humanist Template for Blogger Templates is a beautiful humanist Blogger blog template, made to put visual oriented content in the first place without any clutter and noise. Whether you’re into fashion, design, or just want to publish opinion pieces, Citrus helps to transform your blog into a polished publication. To enhance Blogger functionality, Citrus comes bundled with Instagram, Social link and Flickr gadgets. And by saying gadget I mean truly gadget, with interface. No code, no headache. From responsive layout to fully Mobile Template support, citrus will adapt to any screen besides delivering great readability.